The traditional Chinese city is undergoing an identity crisis. With the rapid development taking place, there is growing conflict between this new building and the existing urban heritage. An appropriate approach, both in design and in legislation, is urgently needed to deal with this problem. Furthermore, although Chinese cities have a remarkably long history, existing methods of urban form study in China are either descriptive or loosely structured, whereas a comprehensive methodology is necessary to 'read' Chinese urban forms in a consistent way, and thus inform designers and policy-makers. Chinese Urban Design targets these problems and offers an analytic and conceptual framework for both urban investigation and consequent design. Firstly summarising traditional urban design principles and how Chinese cities have transformed over time, it then introduces and offers a theoretic ground and scientific methodology for understanding the evolution of urban forms, initially developed in western countries. It demonstrates the theoretic model via real cases - from the city of Nanjing - and establishes a direct link between understanding of urban forms and design development. 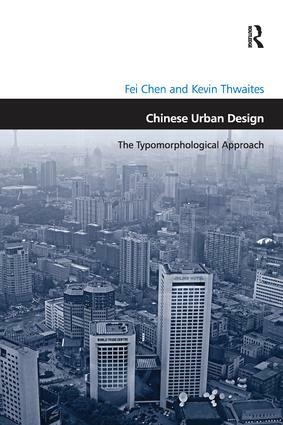 By providing a cross-cultural investigation on the theories and methods of urban typology and morphology, this book aims to suggest best future practice for urban design in China. It explores how urban designers and local policy-makers can produce culturally responsive designs and how they might better understand the formation and transformation of the built environment in which their creations sit. It also looks at how local residents' lifestyle, culture and demands might be reflected and respected in design process. Contents: Introduction; Part I History and Theory: Traditional Chinese urban form and continuity; Transformation of Chinese urban form in the modern era; Typology morphology and typomorphology. Part II Understanding the Design Context: A theoretic model: Chinese urban form as seven elements; Typomorphological analysis of urban form: the case of Nanjing. Part III Urban Design Practice: Urban design in the West and its operation in China; From typomorphological analysis to design practice : the case of Nanjing; Typomorphology and Chinese urban design; Glossary; Bibliography; Index.